Search for a Neptune Township Condos for Sale. Condos in Neptune are mostly located in one of ten condo complexes. Other condos in Neptune are not in a complex rather they are in single buildings. You can find Neptune Township Condos For Sale with one, two or three bedrooms. And many of these condos have a garage. Other condos in Neptune have water views while some are waterfront on the Shark River. Historic Ocean Grove is a section of Neptune Township which offers beach access to the Atlantic Ocean. Also, buyers of Neptune condos will find there are marinas on the Shark River, which allows boaters to get to the Atlantic Ocean. In addition, commercial fishing boats and fishing charters are based in these marinas. The Jersey Shore Medical Center is located in Neptune Township. 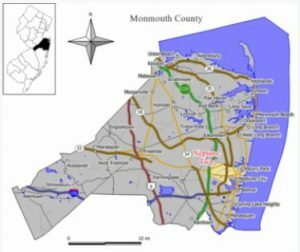 As per the 2010 Census, the population of Neptune Twp was 27,935. There were 11,201 households in Neptune, and the median household income was $74,422. Commuters appreciate the area because they have many options available. Nearby is The Garden State Parkway, which offers Park and Ride lots. Also, rail service is available in Long Branch. Neptune Township Schools educate students in kindergarten through twelve. The student population is around 4,500 students, and there are five elementary schools in addition to one middle school. When students enter high school they will attend Neptune High School. In addition, private schools in the area are Holy Innocents and St Rose. Neptune is one of 31 former “Abbott Districts”, which are now called “SDA Districts”. Call 732-598-7700 to see the Neptune Township Condos For Sale or condos in Neptune.